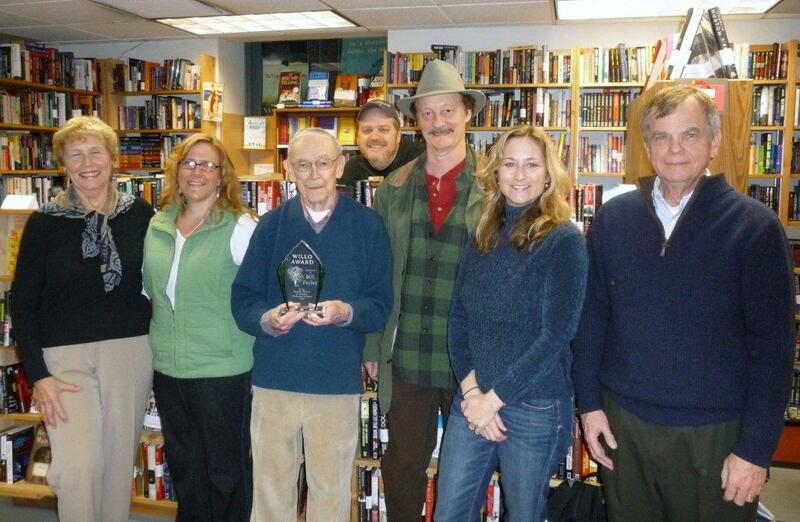 On Sunday, December 12th, the board of the Northwest chapter of Mystery Writers of America descended upon Seattle Mystery Bookshop to give Bill Farley, founder of the legendary bookstore and hero to northwest mystery writers (and mystery writers in general) the 2010 Willow award. 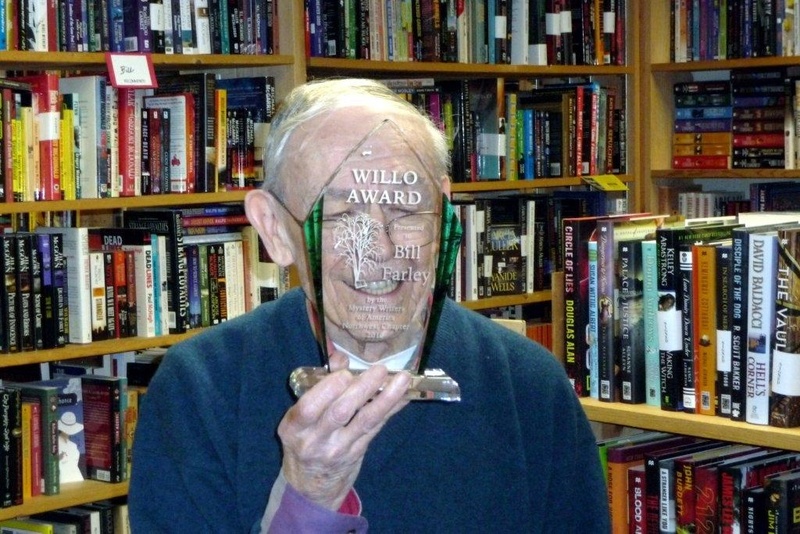 As many of you know, the Willow Award is named in honor of the memory of two-time Edgar Award Winner and long-time Northwest Chapter stalwart Willo Davis Roberts. The intent of the award is to honor an author or member of the mystery community who has contributed with distinction to the Northwest mystery writing scene, and as anyone with a nodding familiarity of the northwest mystery community can attest, no single person has done more to push the cause of mystery writers in the Northwest than Bill. 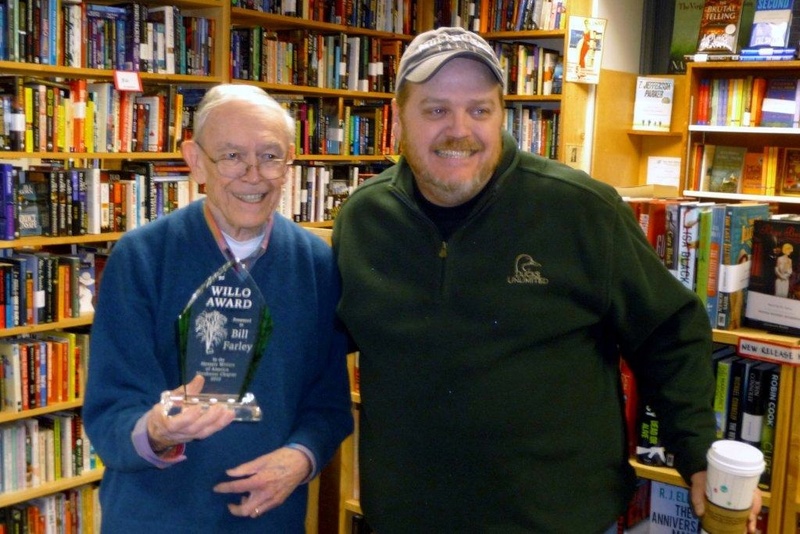 Since launching his bookshop in 1990, Bill and the rest of the Seattle Mystery Books staff have hosted hundreds of mystery writers from all corners of the globe and has been a vocal supporter of many writers from around the northwest. As is usually the case with Bill, he didn’t want to make too big a fuss over himself, choosing to receive the award at work. We couldn’t think of a better place to bestow the award. While we as a community can never repay Bill for all the hard work he has done on our behalf, we hope this award shows, in some small measure, how thankful we are. So please welcome us in congratulating Bill Farley, winner of the 2010 Willow Lifetime Achievement Award.